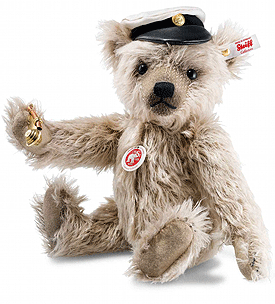 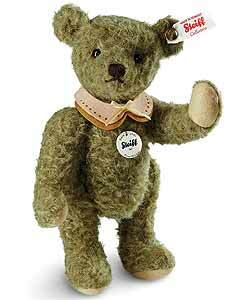 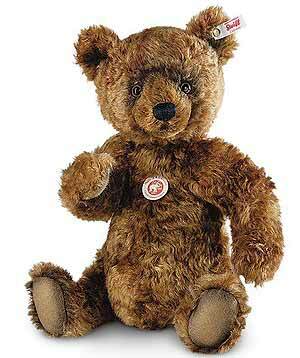 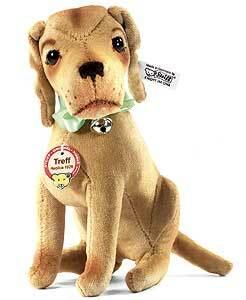 The pinacle of any teddy bear collection, is the Steiff limited edition. 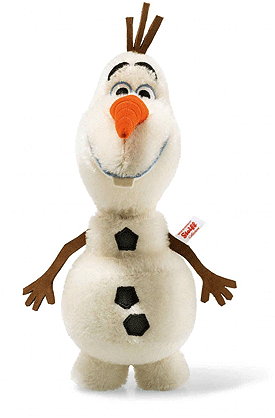 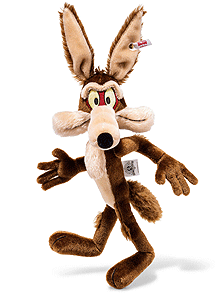 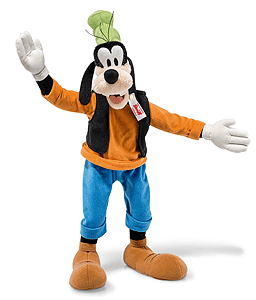 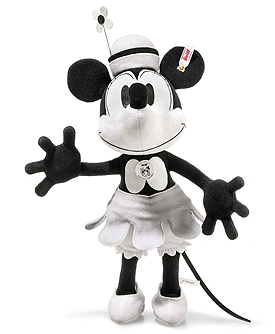 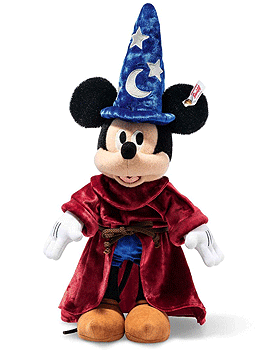 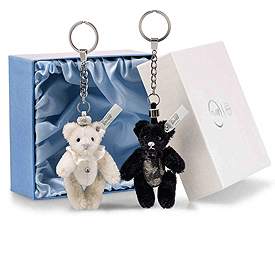 They make treasured gifts that convey a sense of great esteem to their recipients. 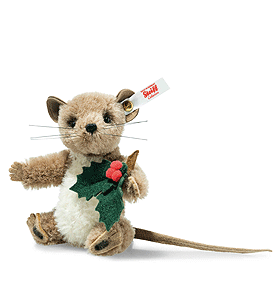 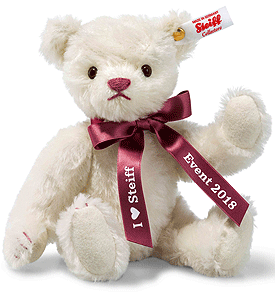 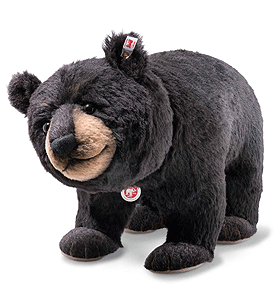 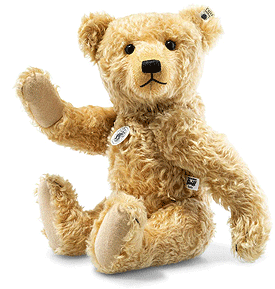 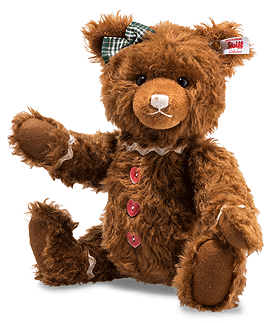 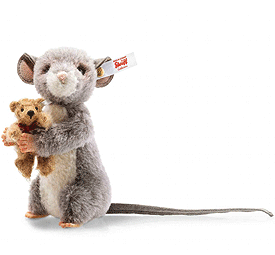 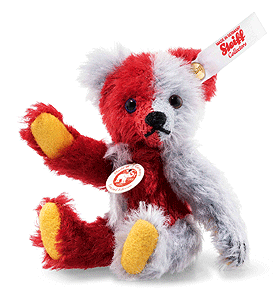 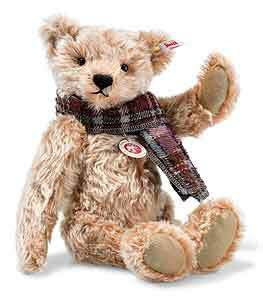 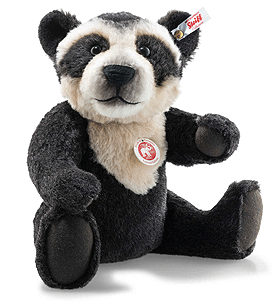 For collectors, enthusiasts, and those lucky enough to receive Steiff as a gift, each Steiff product is truly a friend for life. 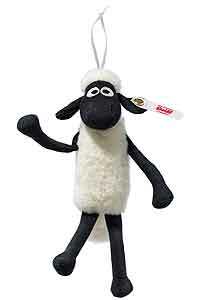 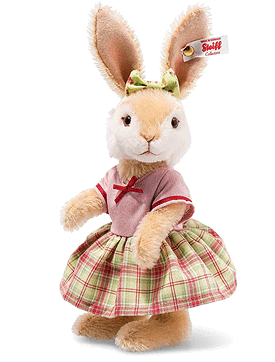 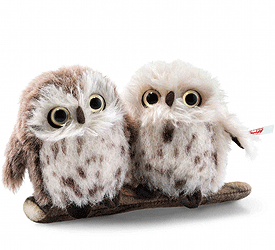 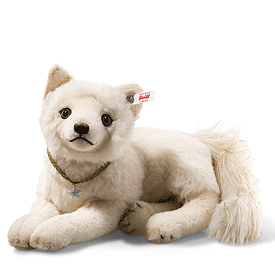 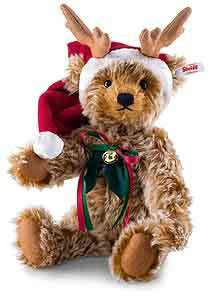 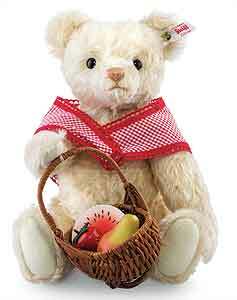 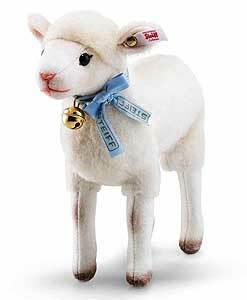 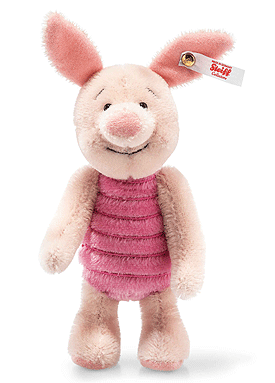 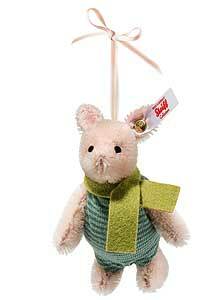 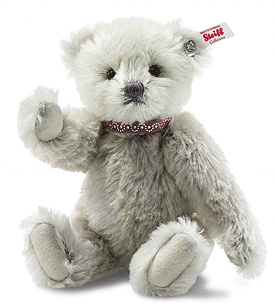 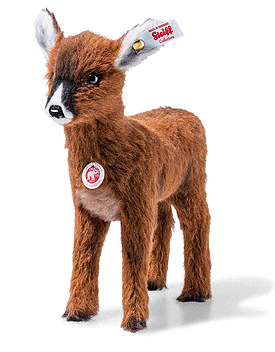 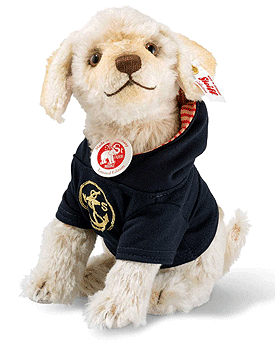 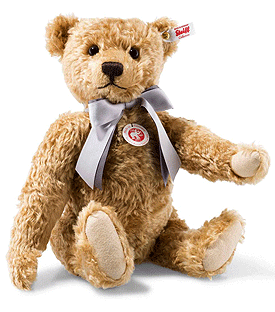 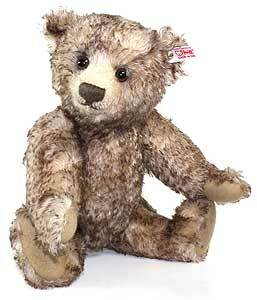 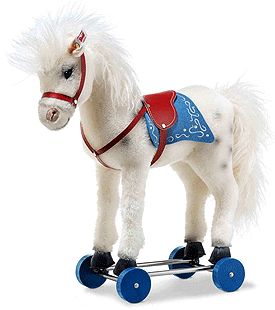 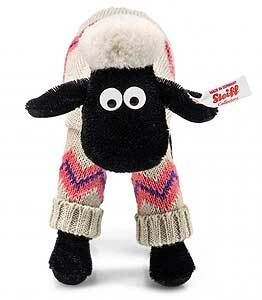 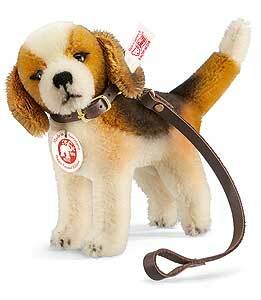 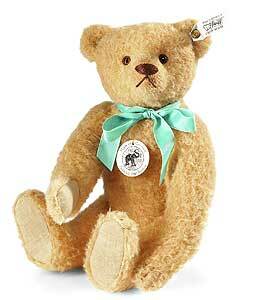 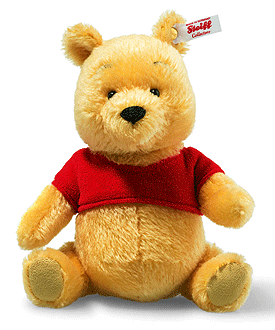 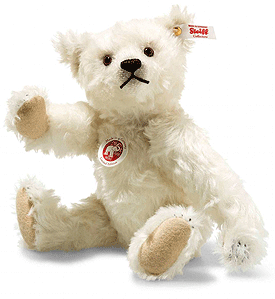 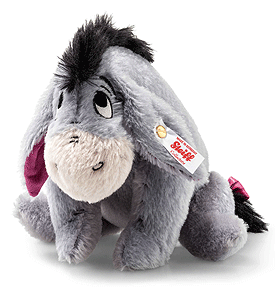 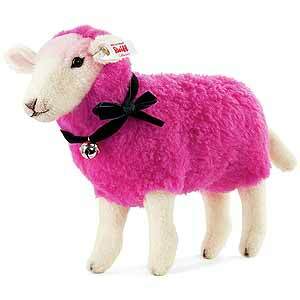 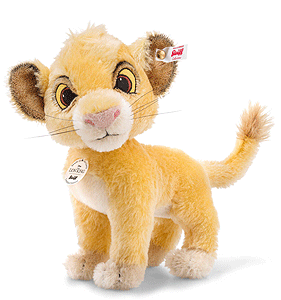 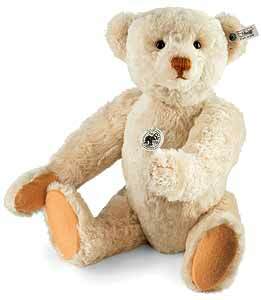 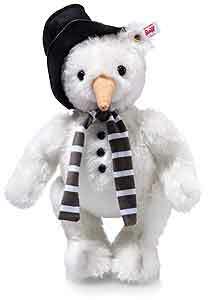 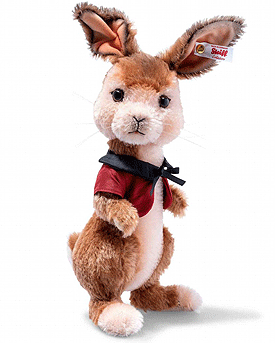 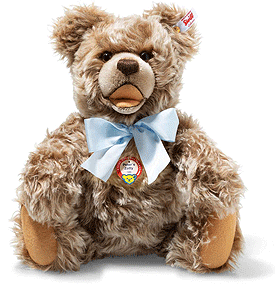 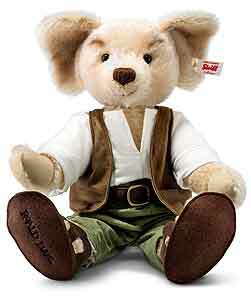 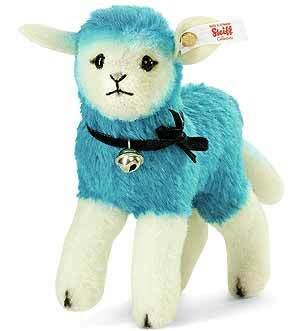 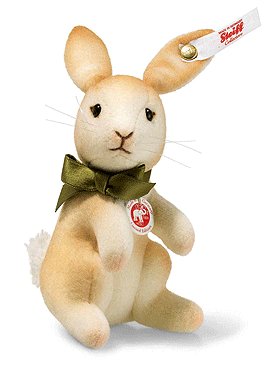 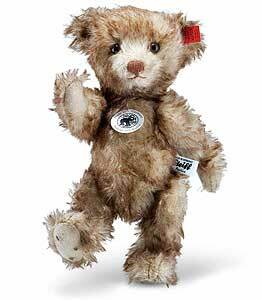 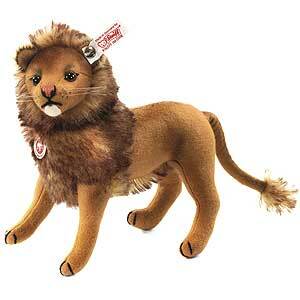 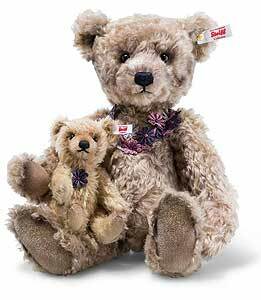 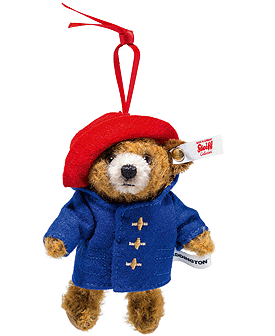 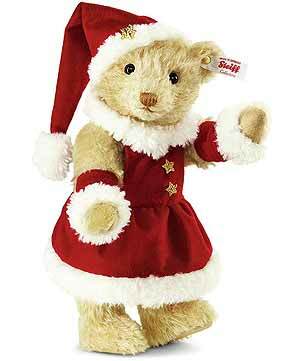 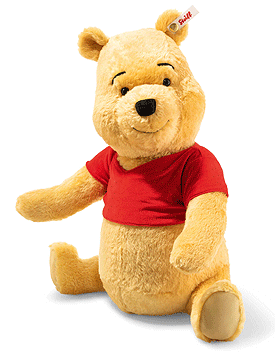 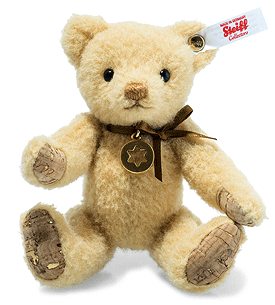 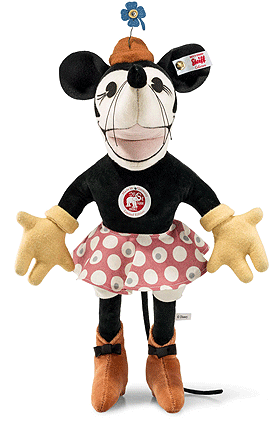 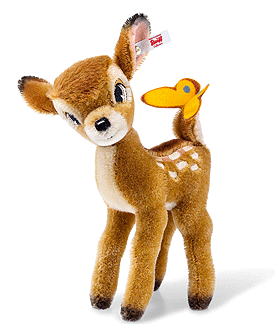 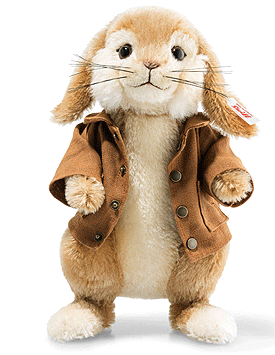 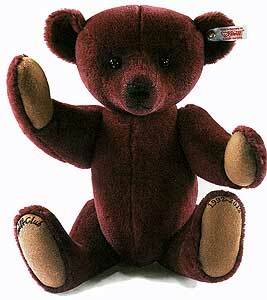 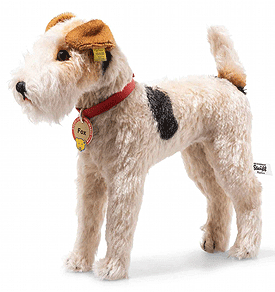 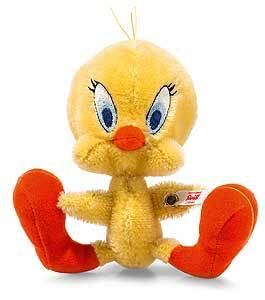 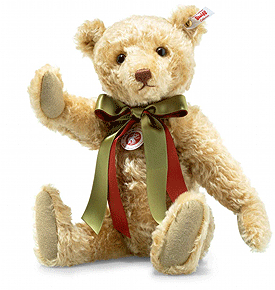 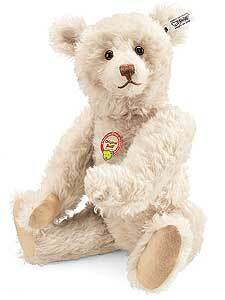 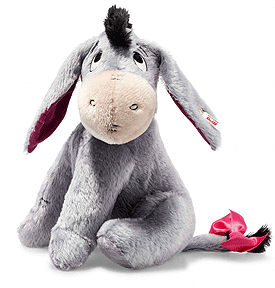 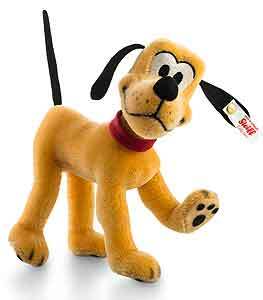 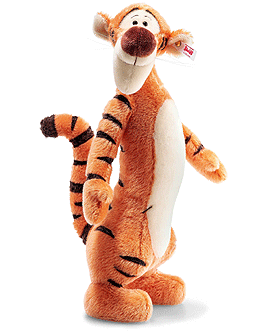 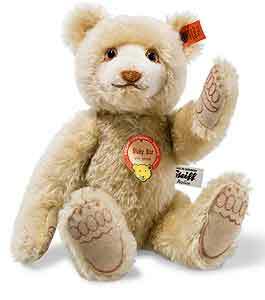 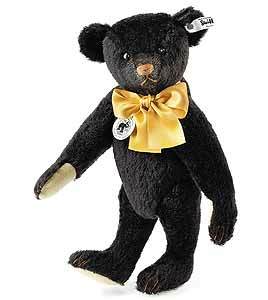 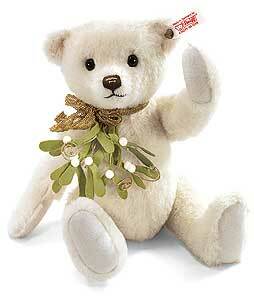 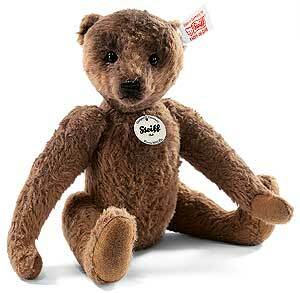 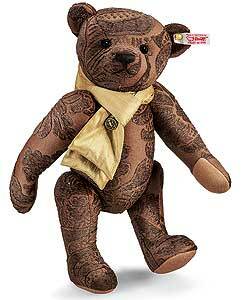 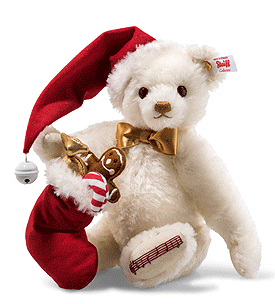 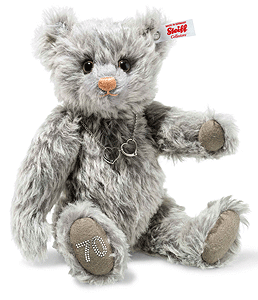 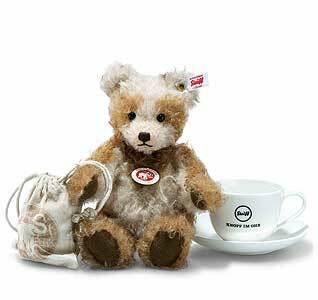 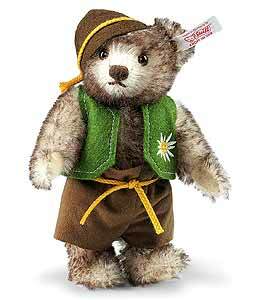 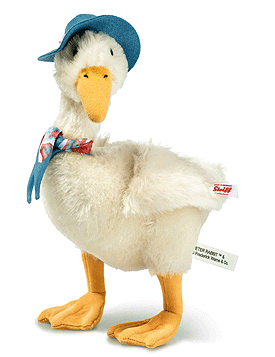 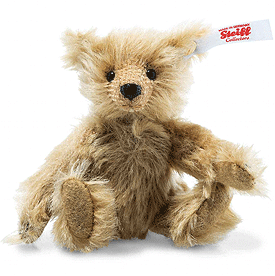 To collect Steiff Teddy bears and animals is to experience great joy and satisfaction. 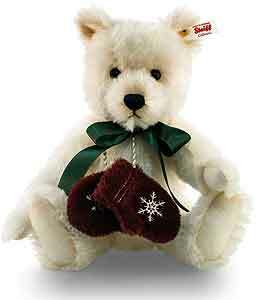 For there is no other collectible that brings so much pleasure to the owners life. 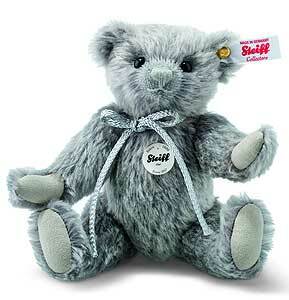 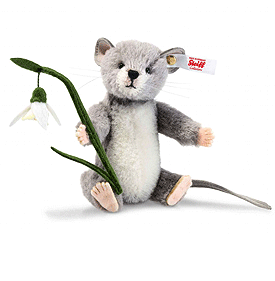 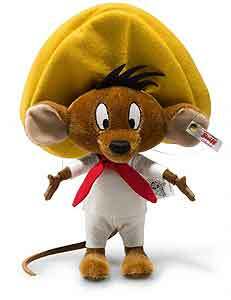 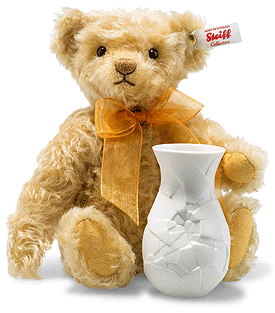 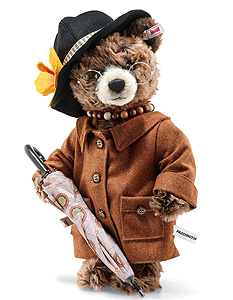 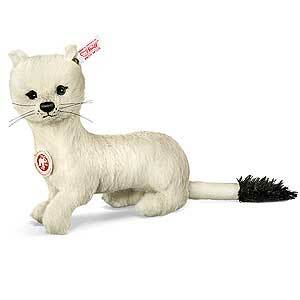 Each Steiff piece is a handcrafted work of art. 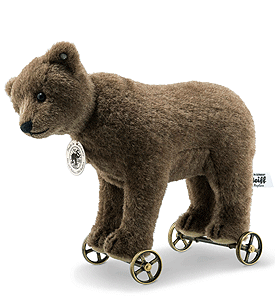 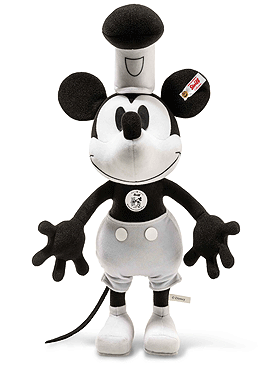 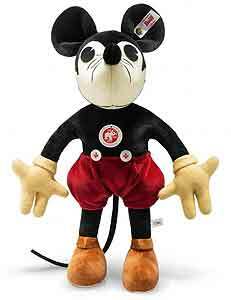 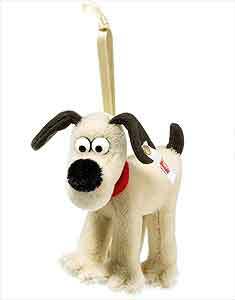 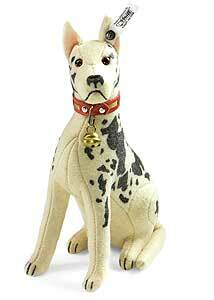 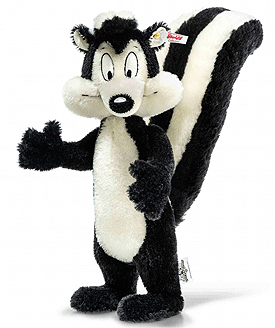 Made in Germany and often based on vintage or antique designs, Steiffs collectible products occupy a special place in the hearts of their owners. 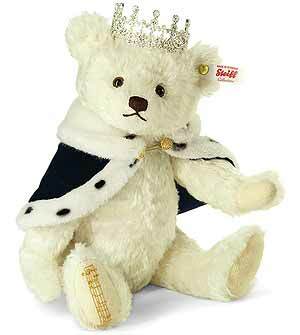 Teddy Bear made of gold blond silk mohair with gold fibres, eyes made of 2 deep blue sapphires (each approx 6 carat) and 40 flawless rhinestones (approx. 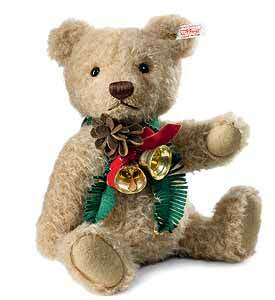 1 carat), mouth and nose made of 24 carat fine gold, fully jointed, stuffe with wood shavings, size 50cm. 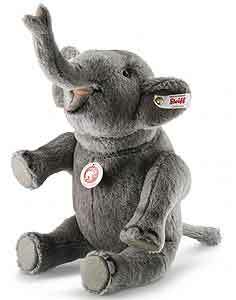 Elephant made of high quality wool felt with tusks made of prehistoric mammoth, saddle cloth decorated with 47 rhinestones mounted in 18 carat white gold and 14 black onyx balls, size 14cm, both have 24 carat fine gold button in ear, limited edition of 125 pieces worldwide, jubilee medal made of 24 carat fine gold. 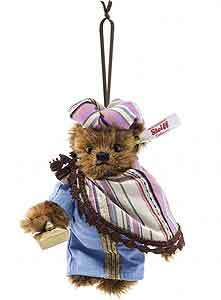 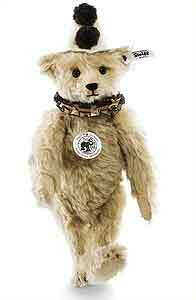 (We have displayed Steiff 125 Carat Teddy Bear - EAN 038983 for historical archive reference only). 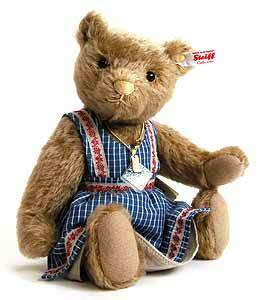 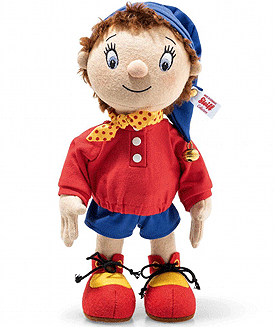 The story of Margarete Steiff almost has a fairytale quality. 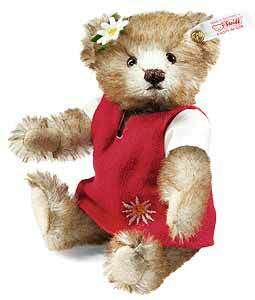 Contracting polio when she was just 18 months old, she later took her life into her own hands in a disciplined manner and learnt sewing and tailoring. 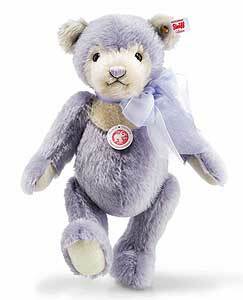 She started up her own small business, initially making ladies' and children's clothes. 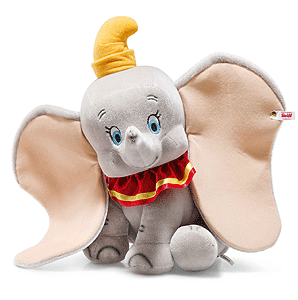 Little did she know, when she was working on a little fabric elephant to be used as a pin cushion, that she was laying the foundation stone for the international company of the future - Margarete Steiff GmbH. 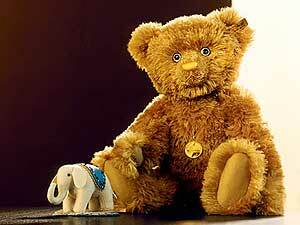 The soft little elephant, which became known as "Elefäntle", captured the heart of a little boy and gave Margarete the idea of producing other soft toy animals, which she did with resounding success. 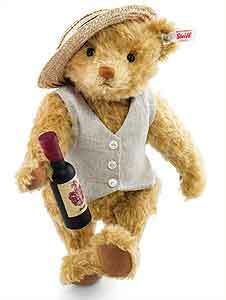 "Only the best is good enough for children!" 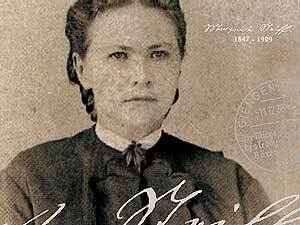 became her motto from then on. 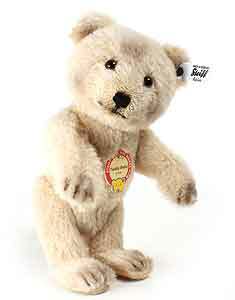 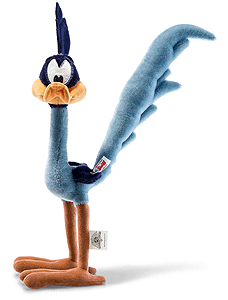 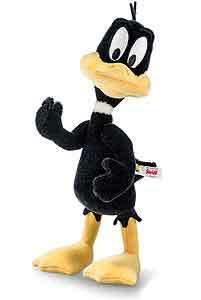 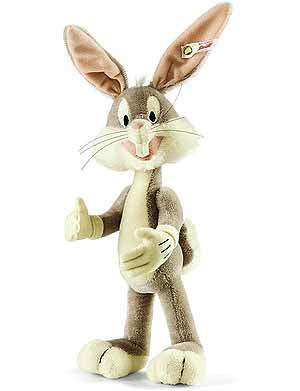 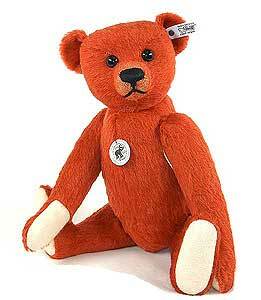 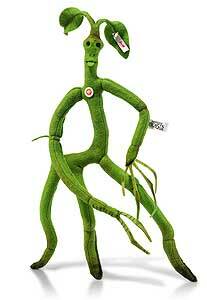 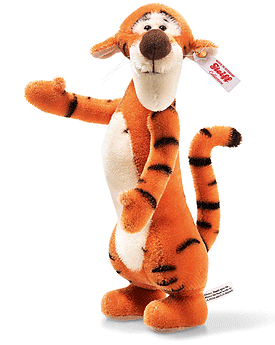 When Richard Steiff, Margarete's nephew, created the first jointed Teddy bear with moving arms, legs and head a few years later, the company name became synonymous with high-quality soft toy animals all over the world: everyone from America to Japan loves these cuddly plush companions with the "Button in Ear". 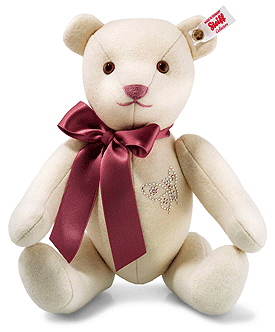 Now, 125 years after the company was founded, we pay tribute to Margarete and Richard Steiff and their loving attention to detail with a unique, valuable anniversary edition: "Elefäntle" and Teddy bear, each adorned with gold and precious jewels and produced in a limited edition of just 125 pieces. 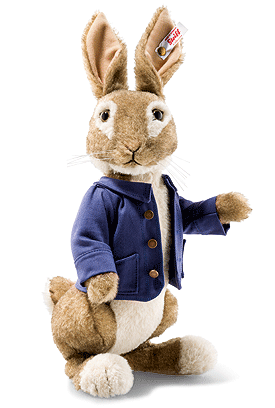 Prepare yourself for one of the most amazing limited edition pieces ever produced for the collectors market! 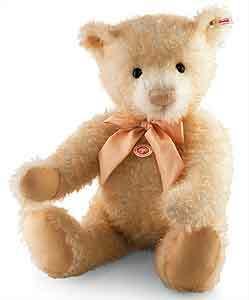 The fine mohair that is typical for Steiff has been combined with the finest raw silk for our 125 Karat Teddy bear, giving him a unique sheen. 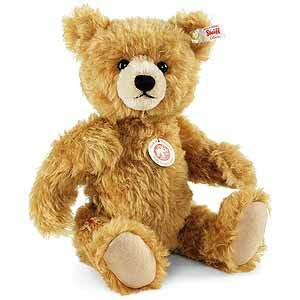 In addition to this, glittering threads of gold have been hand-knotted into his soft fur coat. 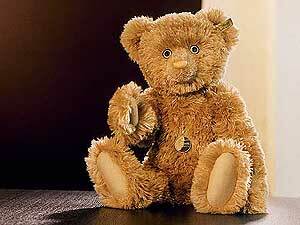 If you look into Teddy bear's eyes, you may get the impression that you are falling into a sky full of stars. 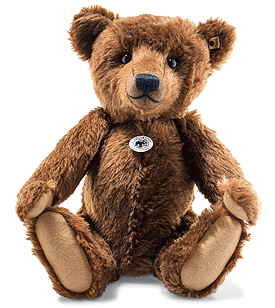 Set in 750/000 (18 karat) yellow gold, the pupils of his eyes are made of two sapphire cabochons, each approximately 11 mm in diameter and around 6 karat, surrounded by twenty 0.025 karat diamonds. 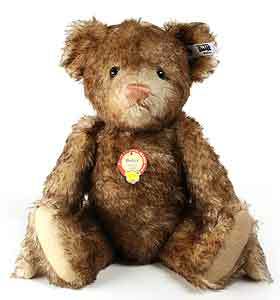 The Teddy bear's nose and mouth have been worked in pure 24 karat gold - like his anniversary medallion and the genuine Steiff "Button in Ear". 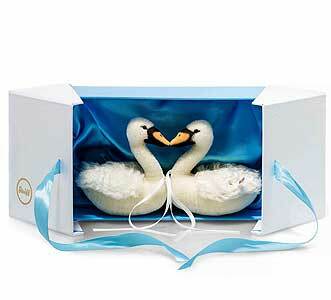 BUT NEVER WERE THESE DETAILS SO PRECIOUS. 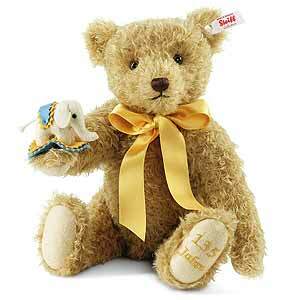 The gold details give the 125 Karat Teddy bear his name. 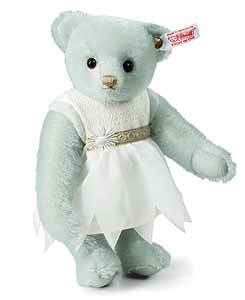 sapphire eyes (total approx. 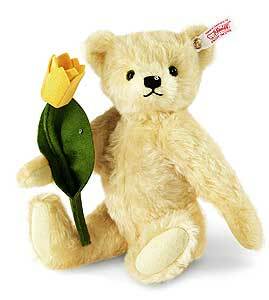 12 karat) set in 750/000 yellow gold (18 karat) and surrounded by 40 diamonds (total approx. 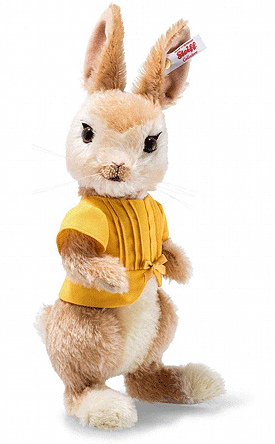 1 karat). 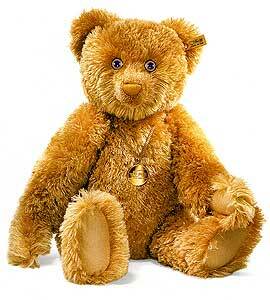 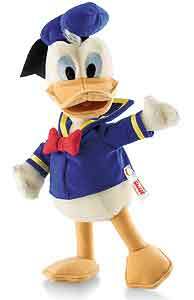 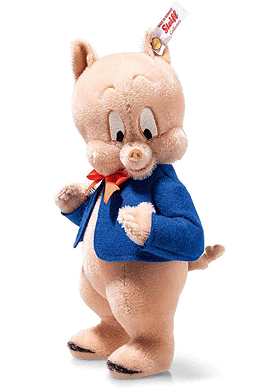 His nose has been worked in pure gold and he has a 24 karat gold "Button in Ear". 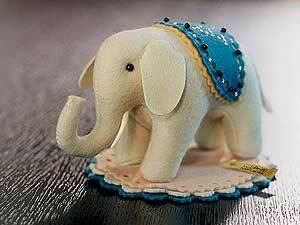 Made of pure wool felt, the little elephant is wearing an intricately decorated saddlecloth with a total of 47 (1.00 karat) diamonds making up the border and the "A.S." monogram. 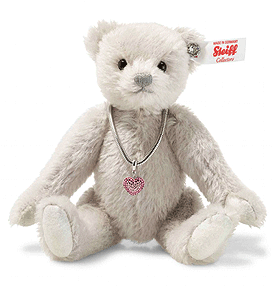 The precious stones are set in 750/000 (18 karat) white gold. 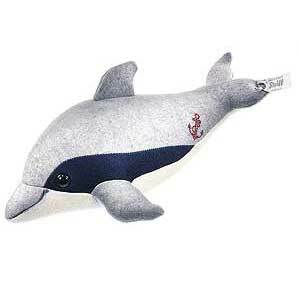 Furthermore, the edge of the saddlecloth is adorned with real onyx beads, each measuring 3 mm in diameter. 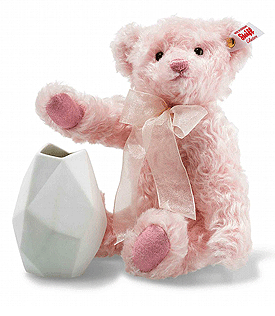 The little elephant's eyes are also made of genuine onyx. 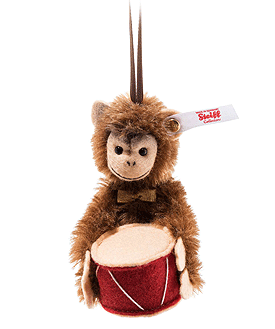 Hand-crafted tusks made of mammoth ivory and a 24 karat gold "Button in Ear" complete this little masterpiece. 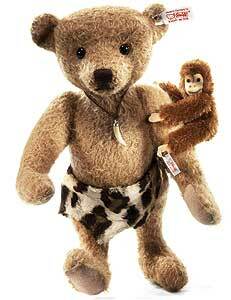 Tiny tusks with a great history: mammoth ivory comes from the tusks of the prehistoric woolly mammoth. 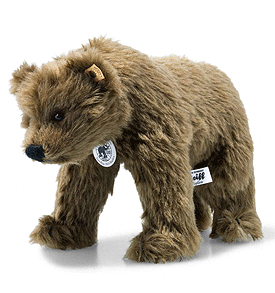 Its unique patterning is the result of being enclosed in ice for thousands of years and exposed to the arctic sun. 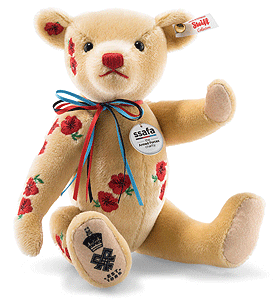 The initials "A.S." stand for Anna Steiff, who was given the "Elefäntle" pin cushion as a present from Margarete Steiff. 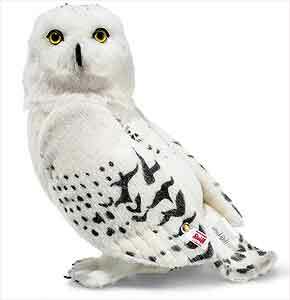 Wearing a saddlecloth adorned by 47 diamonds (total approx. 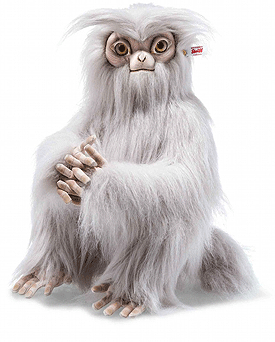 1 karat) mounted in a 750/000 (18 karat) white gold setting and onyx beads, onyx eyes, a (24 karat) gold "Button in Ear" and tusks made of mammoth ivory. 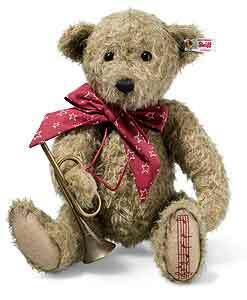 » Teddy bear with growler, 50 cm tall, stuffed with wood shavings, made of gold silk mohair, with sapphire eyes (total approx. 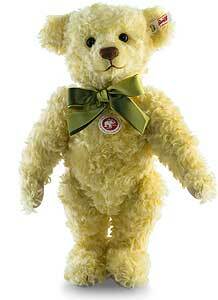 12 karat) set in 750/000 yellow gold (18 karat) and surrounded by 40 diamonds (total approx. 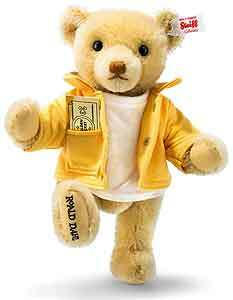 1 karat). 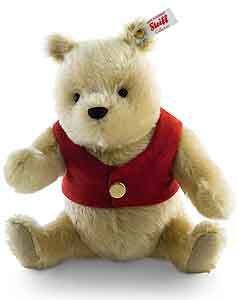 His nose has been worked in pure gold and he has a 24 karat gold "Button in Ear". 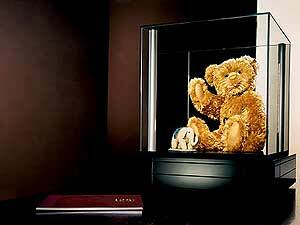 » Superb showcase with book drawer and detail lighting. 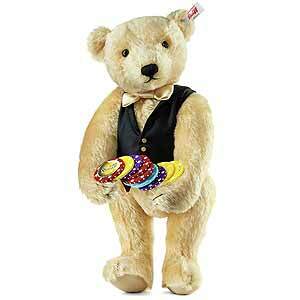 » Pure (24 karat) gold anniversary medallion. 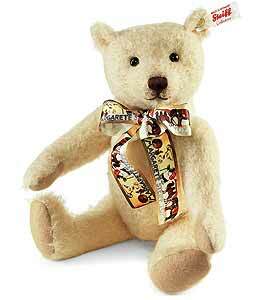 The 125 Karat Teddy bear edition is first-class German craftsmanship by family firms that are rich in tradition. 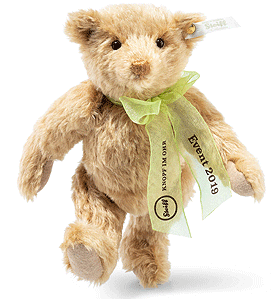 The 125 Karat Teddy bear is being produced in a limited edition of just 125 precious sets and is available to purchase through Ashby Bears. 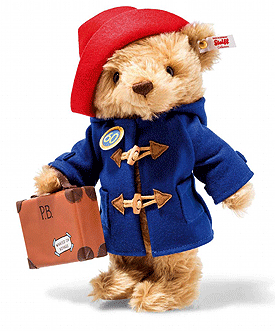 Please note that the price is subject to exchange rate fluctuations and will be confirmed on firm orders.